Team South Africa ended their 2012 Paralympic Games campaign on Saturday night with a total of 29 medals. 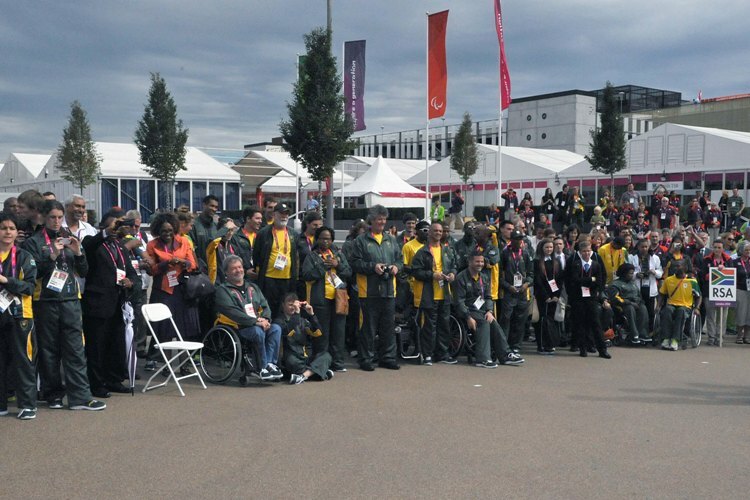 The final day of South African participation saw the team winning a further five medals. Those medals came from Dyan Buis (silver, T38 200-metre), Kevin Paul (silver, S9 100m breaststroke), Fanie van der Merwe (gold, T12 100m, Anruné Liebenberg (silver, T46, 400m) and Oscar “Blade Runner” Pistorius who put the seal on a successful Paralympics when he won the T44 400m . The final medal breakdown was eight gold, 12 silver and nine bronze. Congratulating the team, The South African Sports Confederation and Olympic Committee (SASCOC) CEO Mr Tubby Reddy said they had made the whole of South Africa proud. “To win so many medals at a Games where we have seen the standard of competition rocket in the four years since Beijing 2008 shows us that we are on the right track. “Congratulations to Dyan for his third medal of the championships and Kevin for silver on the final day of the swimming competition. Also to Fanie for his great comeback after he had struggled in the 200m. “Anruné also did well to get two medals in her first Paralympics. “And then there’s Oscar Pistorius, our flagbearer at the opening ceremony, who closed off Team SA’s effort here in London by defending the title he won in Beijing four years ago. The Games came to a conclusion last night and the next Paralympics will be hosted by Rio de Janeiro, Brazil in 2016.